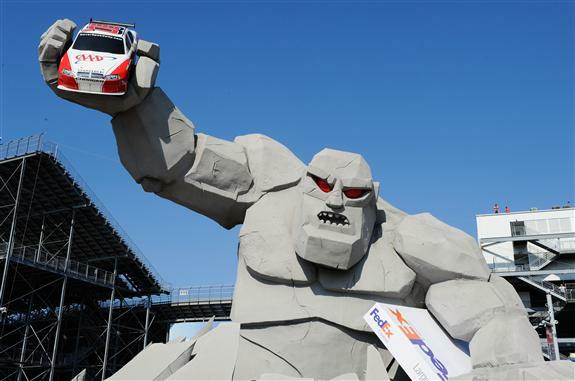 What to Watch For: Sunday marks the cutoff race for the Chase for the NASCAR Sprint Cup’s Round of 16. Right now, Jamie McMurray (five points below Kyle Larson on the cutoff line), Austin Dillon (-5), Tony Stewart (-11) and Chris Buescher (-30) will all be eliminated from the Chase if they can’t improve their positions. … Kevin Harvick goes for his second straight win after visiting Victory Lane at New Hampshire. He is the defending fall Dover winner. … Spring Dover winner Matt Kenseth attempts the season track sweep this weekend. No driver has won twice at a single track this year. … Jimmie Johnson holds the Dover track record with 10 wins. Last season, he was knocked out of the Chase at the Monster Mile after he broke a rear axle seal on his car. What to Watch For: Chase favorite Erik Jones tries to get back into the top-eight drivers in the standings. He currently sits three points behind Blake Koch on the cutoff line after a late wreck at Kentucky relegated him to 28th. Jones won at Dover in the spring. … Darrell Wallace Jr. finished runner-up at Dover in the spring and hopes to get his first career NASCAR XFINITY Series win. In four Dover starts, he’s registered two poles and an average finish of 10.5. … NASCAR Sprint Cup Series drivers Kyle Busch, Joey Logano, Austin Dillon and Matt DiBenedetto are scheduled to compete in Saturday’s race. What to Watch For: Every Chase driver except for William Byron competed in last year’s race at Las Vegas. The highest finishing Chaser was Timothy Peters (second), followed by Ben Kennedy (third), John Hunter Nemechek (fourth), Daniel Hemric (sixth), Matt Crafton (eighth) and Christopher Bell (14th). … Defending winner John Wes Townley tries to visit Victory Lane again on Saturday. … Sunoco Rookie of the Year frontrunner and overall standings leader William Byron goes for his seventh win of the season.